The term dark fiber refers to fiber optic cable that is not currently in use. The large amount of dark fiber available is allowing banks, universities and other institutions to invest in fiber optic networking at an affordable price. Dark fiber is a term used to describe fiber optic cable that is not being used at the time. The amount of unused fiber, particularly in the United States, is very high. This is contrasted with active fiber optic cable, often referred to as lit cable. In the past, dark fiber was virtually never sold. Telecommunications companies considered it their core asset, and selling it would be akin to selling off their business. Due to an incredible glut in the market, however, selling the cable has become extremely viable and is now a practice of many major telecommunications companies. During the late 1990s, telecommunications companies created enormous amounts of fiber optics. Economics of scale are particularly significant in building fiber optic networks, where much of the cost is associated with the physical building of the conduits, while the actual amount of cable is a minimal cost. Additionally, the dot-com boom of the 1990s led many telecommunications companies to anticipate a much larger future market than would actually exist, prompting them to build massive networks. Wavelength-division multiplexing (WDM) technology, developed in the mid-1980s and put into widespread use at the end of the 1990s, drastically increased the amount of data a fiber optic cable could carry, further reducing the need for cable. 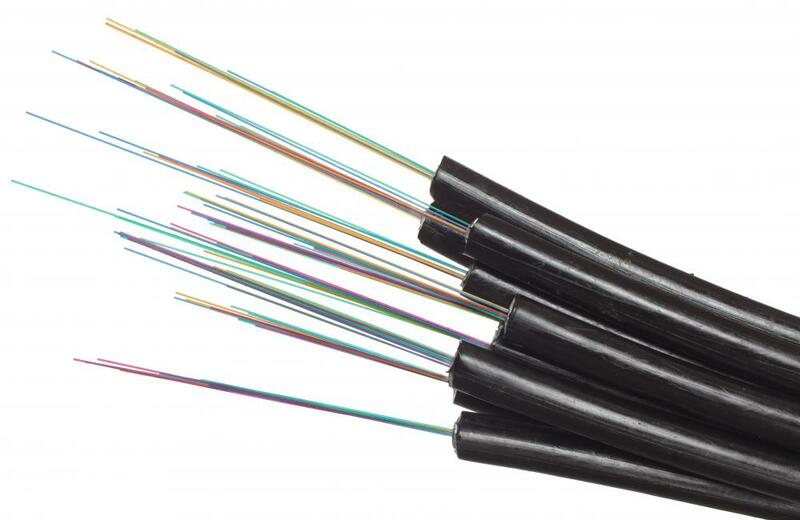 The oversupply of dark fiber has driven prices down to levels at which many companies that traditionally rent or lease lit cable are finding it practical to purchase wholesale unused cable and make it active. Banking institutions, particularly, which have enormous traffic and infrastructure needs, are finding it more and more cost-effective to own their own networks. Colleges are also purchasing dark fiber in previously unheard of numbers, creating their own networks. Independent groups such as Internet2 and the National LambdaRail group are also buying it. In the case of the National LambdaRail group, the amount of dark fiber purchased is truly amazing, and include over 9,000 route miles (14,484 km). Prices at the peak of demand were around $1,200 US Dollars (USD) for a mile (1.6 km), but have fallen dramatically since then, leaving no doubt as to what is provoking the massive buying spree. With literally hundreds of thousands of miles of dark fiber having been laid in the late 1990s, the market will likely exist for some time. Many people are looking to this abundance to provide a unique opportunity for educational and research-based groups that otherwise could not afford their own networks. Some envision a system in which universities are on independent networks, tied to one another and to the Internet. Others see great potential in connecting particle physicists directly from their research institutions to massive reactors such as the Stanford Linear Accelerator Center (SLAC) or the Large Hadron Collider (LHC) at CERN. 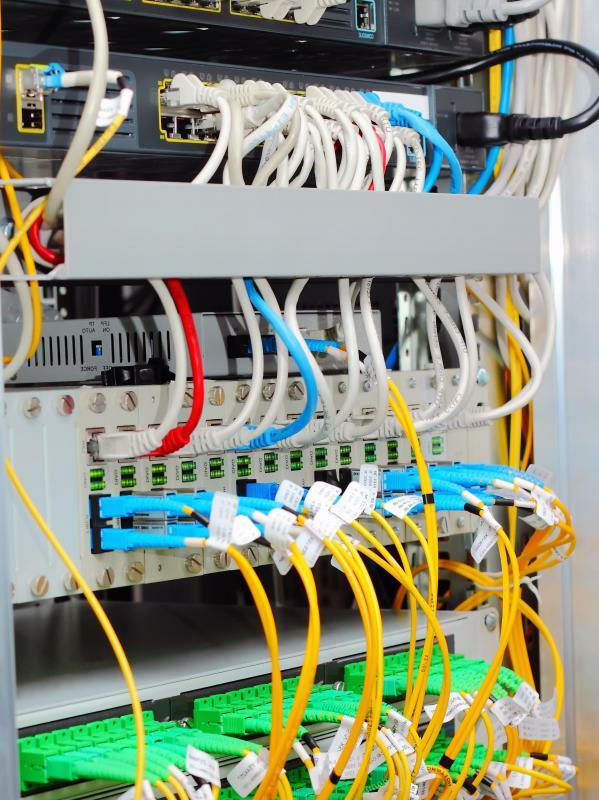 However dark fiber is used in the future, it is undeniable that the staggering amounts of unused cable provide a number of exciting possibilities in terms of dedicated network capability. What does a Fiber Splicer do? What is the Largest Machine in the World? Yes, some companies will just lease their dark fiber solutions to businesses. It’s not always necessary to sell it. As the world ramps up to Internet2, I guarantee you that the dark fiber will not go to waste. It’s a steal at a few hundred dollars a mile. I used to work in the telecommunications industry and we were losing money hand over fist like so many other companies in the industry. We thought, “If you build it, they will come.” Well, they never came and we wound up with a big dark fiber network, miles upon miles of it that we had no use for. When we went in cost cutting mode, the number one revenue generating technique we had was to sell off our dark fiber assets. Sometimes we would sell them to smaller telecom companies or businesses that could make better use of it—and make more money on it—than we did. It helped us to offset our boatload of losses and slow the rate at which we burning through our cash on hand.